Who remembers the TV show Crystal Maze. You know the one where at the end of a series of challenges the end goal was to grab the time tokens from in the dome in hilarious and frantic style. Crystal Maze was quite possibly one of my favourite TV shows as a child coming home from school, so I was excited to hear it was coming back as a live immersive fully interactive experience. 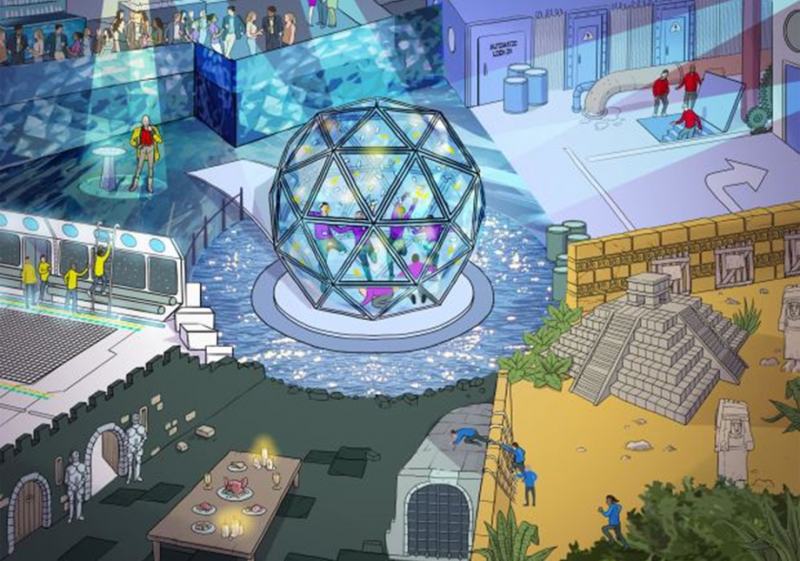 Following a crowdfunding campaign that raised £900,000 in just four weeks, a fully immersive, pay-per-play Crystal Maze is to open in London, pitting teams head-to-head in the same testing environment. The reincarnation of the TV series is the brainchild of Ben Hodges, 29, Dean Rodgers, 25, and Tom Lionetti-Maguire, 28. After being inundated with donations, the trio have spent the last six months renovating a 30,000 square ft venue located between Kings Cross and Angel, North London. Tickets went on sale yesterday but the overwhelming demand led to the website crashing so if anyone’s got one let us know as GNO would love to be involved….